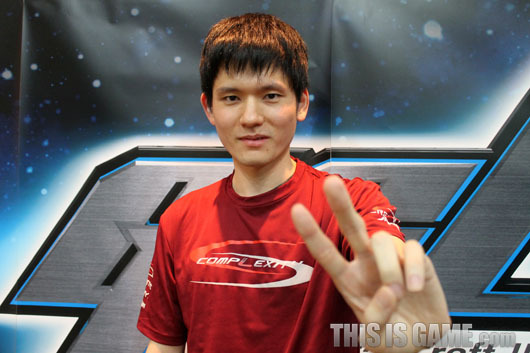 Your thoughts on returning to Code S after a close series against MMA? I’m happy because I feel like I just climbed a large mountain. I worried a lot because my opponent is a Terran champion so it’s a relief to have won. Did the fact that he’s a former champion make you uncomfortable? Until last season, I gave a lot of respect to my opponents for their renown but this season, I gave up that attitude. I think that’s why I was able to take down Nestea and MMA. Luck’s always been on my side but this season was terrible for some reason. I steeled myself and became determined to try my best after seeing the bracket so I’m glad that paid off. MMA dealt with the strategy I had prepared for Set 1 so well. However, the way I cleared my mind before entering Set 2 helped me win. That’s why I was able to get back into Code S.
You’ve stayed in Code A for quite a while, how was it? It’s definitely a lower league and doesn’t receive a lot of attention which made me sad. 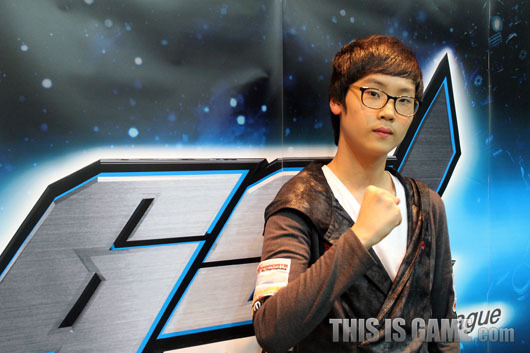 I was really disappointed about not getting back into Code S last season so I’m glad to have changed that this season. I can feel my condition improving a lot. I took some time off for myself by reducing the number of games. I focused on reshaping my mindset. I think managing the amount of practice time was very helpful. At this rate, I should be able to make the finals. Seeing Squirtle go from the qualifiers to the finals, I realised that if you have the skill and play with the right mindset, you can make it to the finals. So far, my mindset was holding me back but now that I’ve taken care of that aspect, I think I can aim for the championship. How does it feel to get into Code S for the first time in your life? I am very happy to have made it into Code S after a long time of trying. You took down a teammate, Maru. I am so sorry. We stay in the same house so I had to hide my practice which made it even harder. You took a 2:0 victory, was this expected? Not at all. I think luck was on my side today. We were both nervous but Maru more so than myself. I had a lot of luck even in the game itself which is why I won. Until now, you failed to get into Code S on several occasions, what do you think is the reason for that? I was lacking skill and luck wasn’t on my side. I was just deficient in all aspects. I practised a lot more this season and worked hard so it must finally be paying off. I wasn’t able to practice for the match specifically and practised mostly on ladder. To make up for having less practice, I worked a lot on strategy. Every time I met a Terran on the ladder, I was on edge. I don’t ever want another teamkill. Firstly, ro16. I don’t want to get eliminated in ro32. 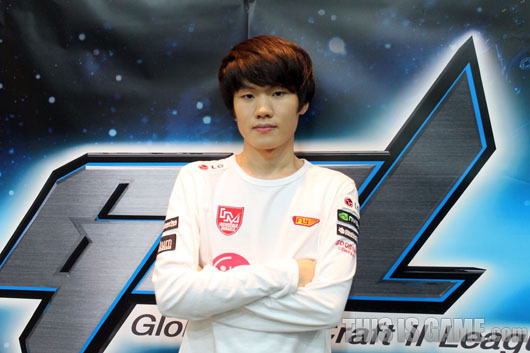 MVPBang, MVPDream, FXOGumiho and “Park, Soong” helped with practice but I want to thank MVPBang in particular. 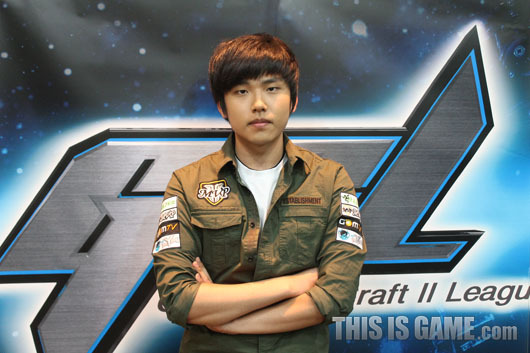 I also hope that Maru gets into Code S through UnD. Lastly, I want to say thanks to our sponsor TteSPORTS and my family whom I love dearly. Your thoughts on returning to Code S? I am so happy but I am scheduled to attend a Red Bull tournament. If I had dropped to UnD, I wouldn’t have been able to attend so I am happy to have made it straight into Code S. However, I am still lacking in skill so I’ll have to try hard to show good games. It wasn’t easy since I had no idea what he was going to do. However, I’ve beat him several times overseas so I was confident. I didn’t get to practise a lot but watching MC’s VODs helped a lot. You say you’ve analysed MC’s style so how did you prepare? It’s my own technique so I don’t want to reveal it. There are stylistic players out there and MC is one of them. I made full use of that fact and it worked well. How was your stay in Code A? It felt like I wasn’t even in GSL. Fans paid less attention to me which was saddening. I posted consistent results overseas but despite that, not being in Code S meant that the fans just weren’t interested. Since I’m back in Code S, I ask that you pay a lot of attention to me again. Are you accustomed to practising at home now? I haven’t been able to practise much at all because of my health. Instead, I think about strategies by myself all day. I am looking for a gaming house to stay in these days. One downside to being on a foreign team is that you have to practise alone. Recently, Starcraft 1 teams have announced their switch to Starcraft 2, what’s your opinion on this? As Starcraft 2 isn’t as prominent in Korea, I think we should help each other out. There are many things to overcome and it might get awkward but I hope that we can work things out by communicating. I wasn’t a notable player but I worked for a long time as a Starcraft 1 progamer and based on my experience, I don’t think Starcraft 1 progamers will do that well. Maybe in a year or so, they will be able to compete with the current Code S players. Lastly, I’m just glad I am able to play with my old friends again. OGN is going to be holding an open Starcraft 2 tournament, are you planning on participating? I debated moving overseas for my career but hearing this news made me want to stay. If I get to play at ‘Yong San’ again, it’ll be great. NSPBLanca helped a lot with practice. SlayerSCrank and SlayerSBrown were a lot of help. I promise to show games worthy of being in Code S so I ask my fans for continuing support. Your thoughts on returning to Code S after two seasons? This experience taught me the importance of Code S. I feel more at ease now. I don’t dwell on results so much anymore. Now that I’ve removed the pressure of wins and losses, the games are turning out a lot better. I wanted to use the proxy marauder build in Set 1 but got scouted. I was already thinking ahead about Sets 2 and 3 but somehow won Set 1. It must’ve been the momentum from Set 1 because Set 2 played out very well as well. What do you think is the reason for your failure to return to Code S all this time? I think it’s because I stubbornly stuck to one style. It’s become so predictable that I get countered all the time. That must be why. How did you prepare for Round 3? I didn’t practise that much. I just thought about which strategy to use. The number of practice games was low. It’s known that you helped MVP for his finals this weekend, didn’t that affect your own practice? Lately, I’ve been trying to keep my practice short but efficient so it was no problem helping MVP. If you had to predict MVP’s probability of taking the finals? At the moment, it’s around 60%. He’ll have to spend the time he has left to increase this number. Protoss is so strong that I can’t guarantee his victory. Are you confident about taking next season? Not quite until Season 4. I still have more preparation to go through for Season 3 to aim for the championship. I want to thank dreamertt and Yoda who helped me like it was their own practice. Also, I hope Seed and Nestea do well in UnD and return to Code S. and of course, I hope MVP takes the finals this Saturday. Lately, the coach has been really busy taking care of both SC2 and LoL so I hope he’s holding up and I want to thank my family and sponsors: LG Electronics, Googims, SteelSeries, Coca Cola and Nvidia. Thanks so much! Great as always. Optimistic teammates he has, go Keen! Keen so deserving of Code S! Keen has always been the boss. Seeing his game play speed during stream is such a joy. wow, Gumiho is helping everyone practice. No wonder he's so good. I forgot Keen took out Nestea as well. What a legend killer! It's kind of sad how every player mentions luck as a deciding factor of them advancing of not. Coin flip still a thing of the present unfortunately. they're being polite... especially creator. who would go around saying "oh yeah, it's all me and i stomped that noob, Maru" after a teamkill. Nice interviews so far :D keep em comming. damn ganZi calling it how he sees it about the BW switch. my daily thanks to storywriter :D really enjoy your translations! pretty happy for ganzi/creator ~ !